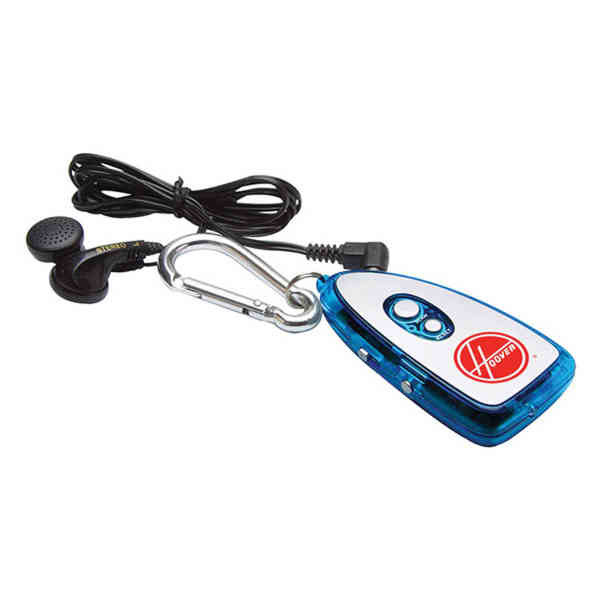 Imprint Method: Pad Print - Bring your tunes with you on the go with this FM scanner radio carabiner. Available in several colors and measuring 3" x 1 1/2" x 3/8", this convenient product comes with stereo earbuds and a built-in flashlight attached to a metal carabiner, so it's easy to clip to your bag or belt loop. Batteries included. A great giveaway for the next tradeshow or convention, it can be customized with an imprint of your brand logo for heightened corporate exposure. Dance. Size: 2 3/4 " x 2 1/4 " x 1/2 "